Without question, the Lake Louise Ski Resort’s awe-inspiring, panoramic scenery is its most memorable attribute. Poised proudly at the very pinnacle of Banff National Park, a UNESCO World Heritage Site, Lake Louise is consistently lauded the most scenic ski area on the planet. The skiing is worthy of the setting. Known for the light, dry, champagne powder that typifies the Canadian Rockies, four vast mountain faces tally up to an impressive 4,200 acres of skiable terrain. 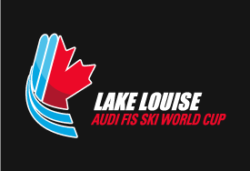 The unique design also sets Lake Louise apart; with novice, intermediate and advanced runs down from every chair, all abilities and interests can explore the whole, huge area together. There is an abundance of gentle slopes and long, cruising runs with an enormous choice of some of the most challenging terrain in Canada. Experts can test their skills endlessly, in the popular terrain park, and notably in such playgrounds as the legendary Powder Bowls, a 2500 acre expanse of remote faces, enchanting glades and gnarly chutes. As the “Birthplace of Skiing” in Canada, Lake Louise is steeped in heritage. In 1931, early ski pioneers deemed this area to be ideal out of the thousands of square kilometers they had to choose from, and so built the country’s first commercial ski operation. Skoki Lodge still thrives as an exquisite backcountry pièce-de-résistance, even as Lake Louise has developed into a world-class destination and icon.